We understand that pest control in hotels, needs to be safe and effective, but also very importantly subtle. Therefore we aim to minimise the disruption to your day-to-day operations by offering night visits to compliment any necessary day visits, so you can get on with the job of keeping your guests happy. We have internationally approved and accepted treatments for all common hotel-invading pests. Tour operators and potential guests alike, can confidently choose your hotel, knowing that you are partnered and protected by a BPCA observer member. The presence of pests can be very discomforting for your guests and can heavily impact their experience and opinions of your hotel. Sadly for hoteliers, unhappy guests rather than happy guests are much more likely to voice their opinions on social media, especially Tripadvisor, leading to further, more widespread reputational damage. Bed bugs pose one of the biggest pest threats to hotel accommodation revenues. Not only will guest’s experiences be severely impacted, room closures and the resulting loss of revenues could have a substantial economic impact, especially if the problem isn’t treated quickly. Pests in kitchen areas, dining areas and storage facilities can be a high risk threat due to food contamination and damage to raw materials. Damage caused by pests can lead to expensive losses of stock, while food contamination can lead to food poisoning, guest complaints and even prosecution. Bedbugs can hide anywhere between the mattress seams and the curtain rail, and can easily spread between rooms through electric cables or by hitching a ride on luggage. All hotels are at risk, but especially those with a large number of international travellers or guests that move frequently between hotels in Myanmar. Javelin’s Superheated Dry Steam Treatment is able to deliver complete removal of a bed bug infestation in one session, making it ideal for busy hotels. Steam produced during the treatment eliminates all stages of a bed bug’s life cycle, from eggs to adults, and can be delivered in the presence of people. Rooms do not have to be closed for treatment, lowering the economic impact of a bed bug infestation. Cockroaches, ants, flies, mosquitoes and rodents are the main pests affecting kitchens and bar areas, attracted in by food spillages, food scraps, water leaks and light. Ants cans infiltrate through tiny gaps in the sealants between windows and doors and often invade kitchens and dining areas. Flies can easily enter kitchens and eating areas through doors and windows and are a sign of unhygienic and dirty conditions to guests. Mosquitoes in dining areas can make for a very uncomfortable guest experience as well as the potential contraction of viruses, such as Dengue or Zika. Rats and mice are often seen darting along walls and behind furniture. They gnaw through electric cables, and can spread diseases such as leptospirosis. 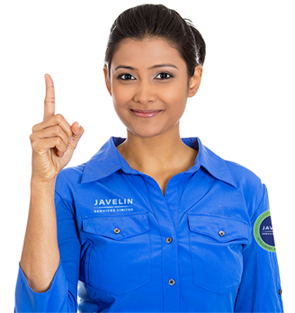 With an Integrated Pest Management (IPM) approach, your Javelin Services team will detect, assess, treat and monitor any pests for long-term protection. We use a range of tailored solutions, including hygiene and proofing advice, spraying, and gelling in the most targeted applications to avoid the risk of potential food contamination and guest health issues. Javelin offers a wide range of ILTs (Insect Light Traps) that use unique encapsulation technology and adhesive boards to capture and kill flying insects. Coming in both decorative and functional designs, our fly killers are silent in operation and can be installed in commercial kitchens, food and beverage outlets and hotel lobbies, providing a relaxing, fly-free environment for your customers. We have a number of different solutions for mosquitoes including thermal fogging, larviciding and ULV treatment. For inside areas, our pioneering Mozzoff repellent treatment can prevent mosquitoes coming inside and offers 24 hour protection for 1 month. The application of anticoagulant rodenticides in secured bait boxes and/or snap-back traps and sticky boards along the hotel’s perimeter fence, exterior walls and interior areas (if necessary) to safely achieve rapid reduction in rodent numbers. The tropical climate in Myanmar makes ideal breeding conditions for pests. Mosquitoes are the most common issue outside and can ruin a guest experience; they are especially prevalent in outside areas that have plenty of vegetation. Rats, mice and cockroaches are often seen scuttling around waste sites and drainage systems. Living in these unsanitary areas means these pests pick up bacteria and disease, which they can then carry into your hotel. We have a number of different solutions for mosquitoes including thermal fogging, larvaciding and ULV treatment. For outside areas, a combination of thermal fogging at peak activity times, ULV treatment and larvaciding would be the most effective treatment programme. Thermal fogging should occur on a more regular basis than ULV treatment and larvaciding. The application of anticoagulant rodenticides in secured bait boxes and/or snap-back traps and sticky boards (where appropriate) along the site’s perimeter fence and exterior walls to safely achieve a rapid reduction in rodent numbers. The presence of flies can be a real annoyance to your customers and a sign of poor hygiene. ILTS use glue-boards to trap flies that remain attached to the glue-board. There is zero risk of food contamination and tests have shown that glue-boards catch flies 100% faster than the Electric Fly Killer units. ILT’s are silent in operation, killing flies discreetly so that guests aren’t disturbed by any buzzing and zapping sound. Snake in the pool? Bees in the garden? Termites in the walls? We have specialised treatments for all common pest problems. Please see our pest library for more information. For snakes, we have trained snake-catching professionals that are able to safely catch and trap any type of snake.